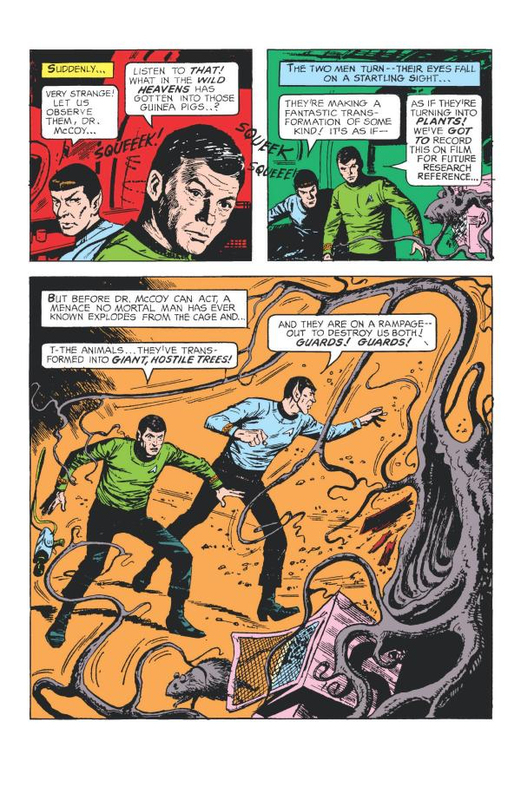 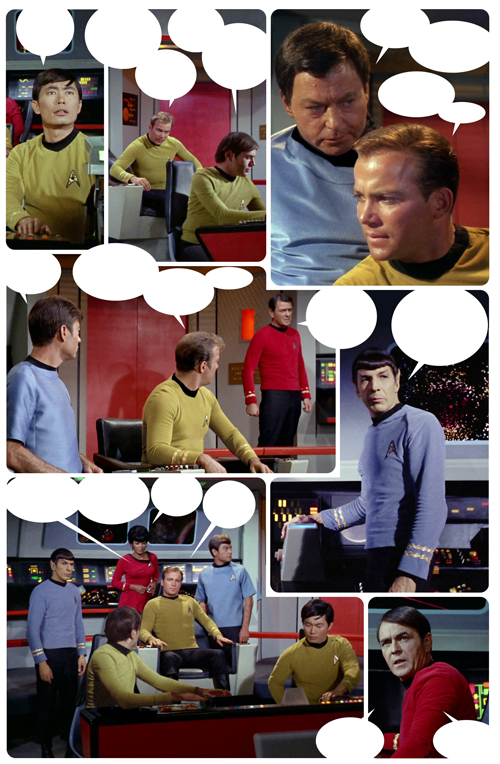 A few teases for you from forthcoming Star Trek comics. 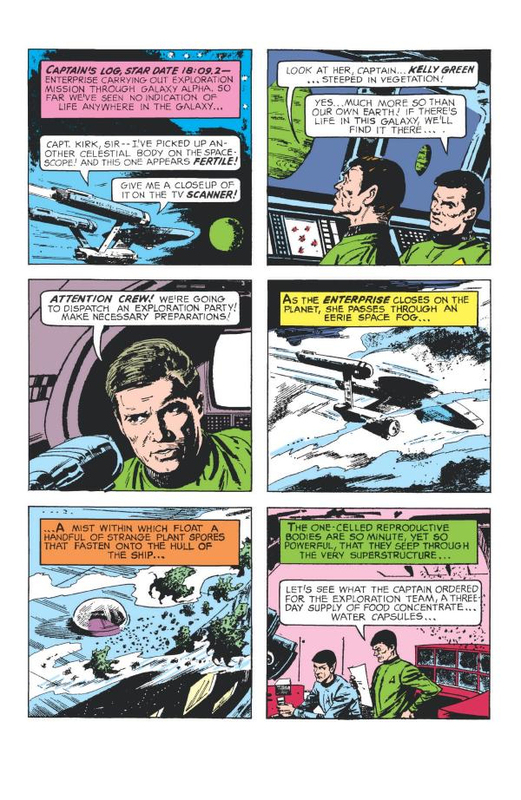 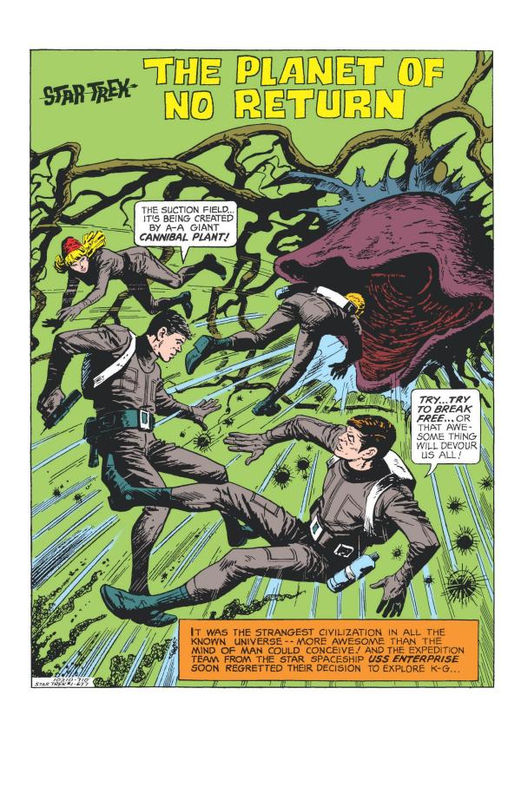 IDW editor Chris Ryall posted a couple of panels of J.K. Woodward's painted interior artwork from the first issue of the recently announced comic book adaptation of Harlan Ellison's original screenplay for The City on the Edge of Forever. 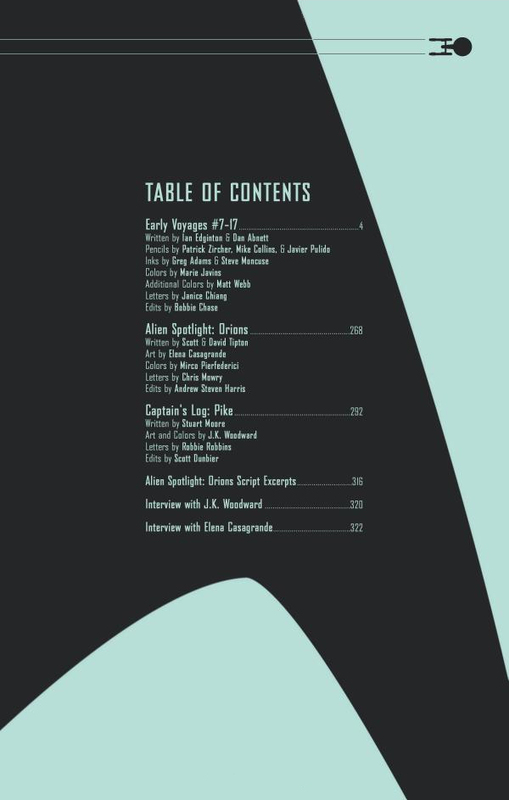 The other book coming in April is The Star Date Collection Volume 2: Under the Command of Christopher Pike, and the look inside feature for this book includes the contents page, revealing which issues, and extra content, are to be included. 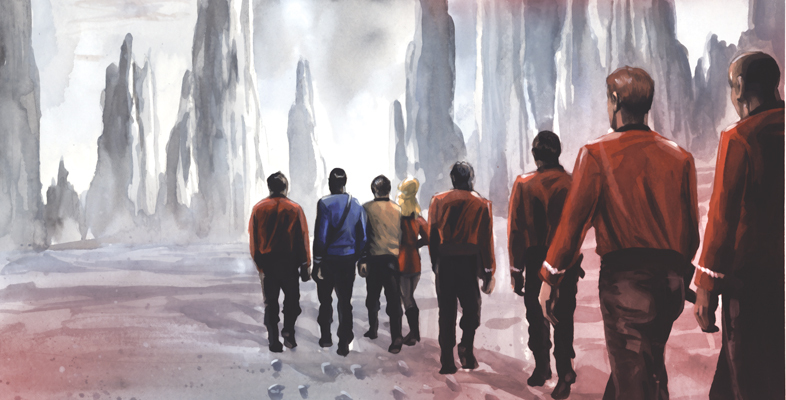 The book continues from the first in the series, released last year, which includes the start of the Early Voyages series, and other Pike-era stories.